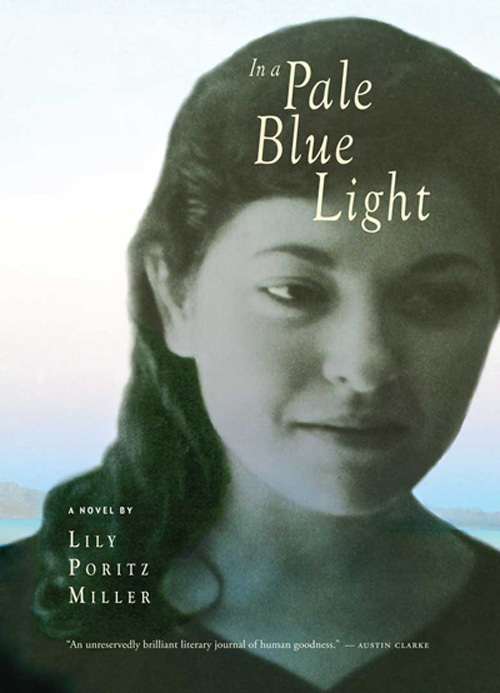 Lily Poritz Miller is the acclaimed author of In A Pale Blue Light, a close reflection of her own life growing up in Cape Town, South Africa, during the 1930s and 1940s before moving to America with her parents in her early teens. Miller’s extensive career in publishing would begin in New York at The MacMillan Company, and later, at McGraw-Hill. Miller moved to Toronto in 1972, where she held the position of senior editor at McClelland and Stewart for eighteen years. Her post in Canadian publishing has led to work with some of Canada’s most talented writers, including Leonard Cohen, Sylvia Fraser, Farley Mowat, Michael Ondaatje, Mordecai Richler, and Gabrielle Roy. With short stories, three plays, and a novel under her belt, Miller is now continuing the story from her 2009 novel, In A Pale Blue Light with The Newcomers. Looking back, In A Pale Blue Light introduced readers to the Hoffmans, a Jewish family made up of the young protagonist, Libka, her single mother Sara, and her four siblings. Originally from Lithuania, the Hoffmans move to South Africa when anti-Semitic tensions escalate in their homeland. But life becomes increasingly diffcult for the family in South Africa after the death of Libka’s father. Layers of racism and outdated class structures act as road blocks for the Hoffmans whos greatly desire some sense of normality and acceptance in Cape Town. Libka and her mother Sara standout as exemplars of the hardships women faced when challenging social norms – while Libka struggles to play along with expectations for young girls coming of age, Sara has to navigate through society and raise five young children without her husband. Memories of their old shtetl in Lithuania are scattered throughout the text, and are reminders of the extended family in Europe that the Hoffmans might never see again. In A Pale Blue Light ends with the Hoffmans leaving Cape Town for a new chapter in America within a small New England town thanks to the support of Sara’s brother, Meyer. Almost two years after the death of their father, the Hoffmans are finally finding some footing and confidence in their resiliency. However, new challenges no doubt present themselves as the Hoffmans dream big and try to make their way through the post-World War II era. Check back soon for more information on this exciting new piece of work by Lily Poritz Miller. Finally, we are very happy to share that In A Pale Blue Light is now available as an eBook! If you purchase a printed copy of In A Pale Blue Light through our Three O’Clock website, you will receive the new eBook edition free with your order. This entry was posted in Uncategorized and tagged In a Pale Blue Light, Jewish Literature, Lily Portiz Miller, The Newcomers, World War II. Bookmark the permalink.